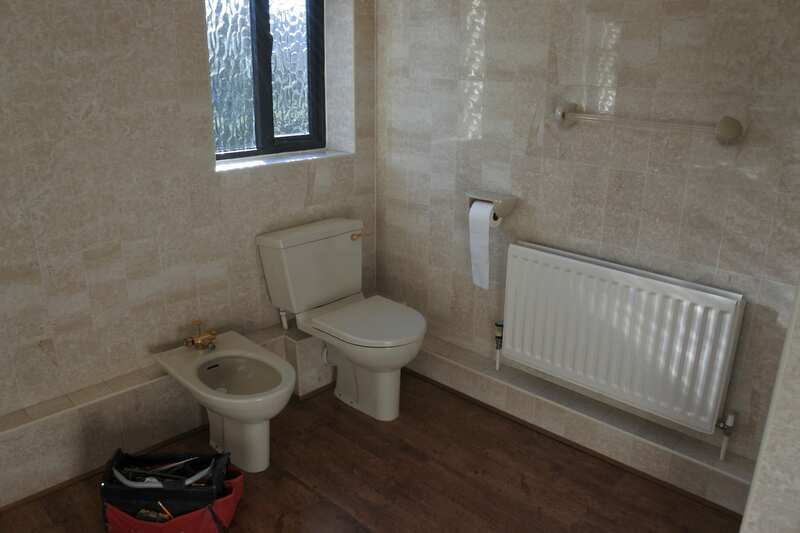 This bathroom was designed to give a large-sized bathroom a modern update. 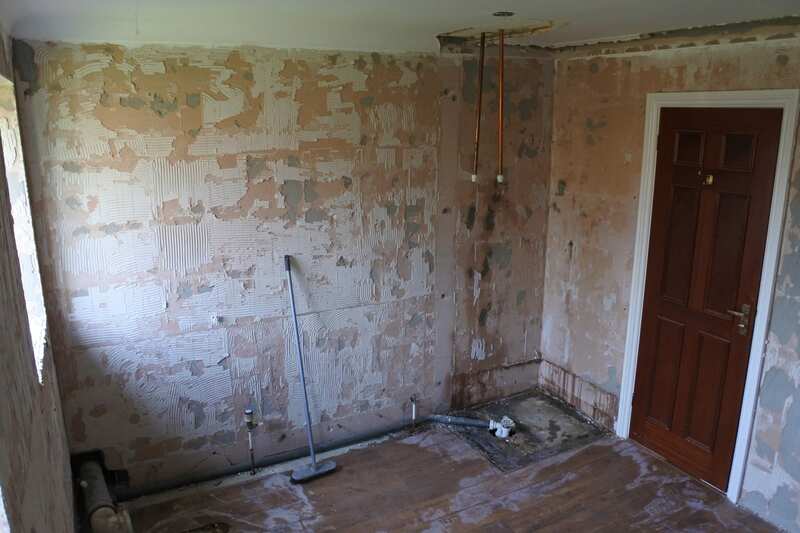 The client specified a separate bath and shower, with plenty of storage. 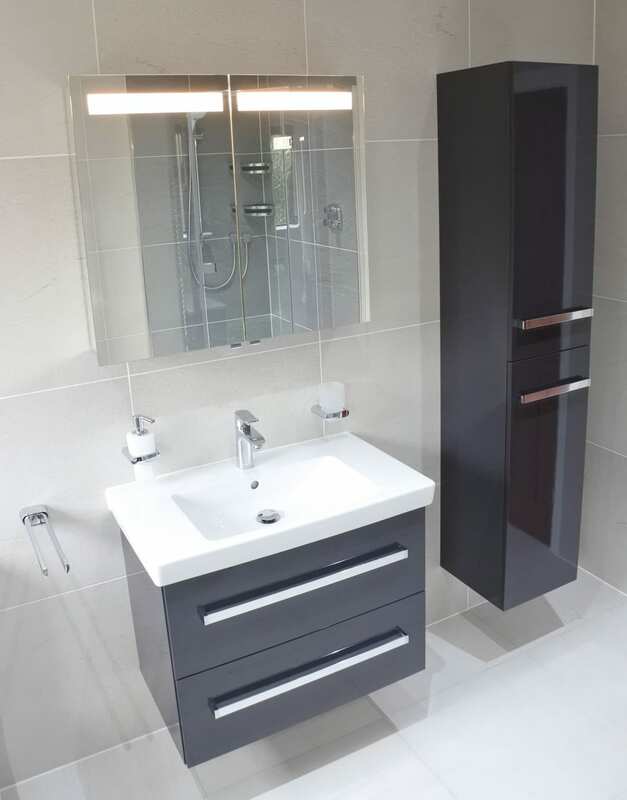 Our design consultant visualised a modern clean look, and made changes to the existing positioning of the bath, shower and furniture to create a more efficient use of the ample space available. 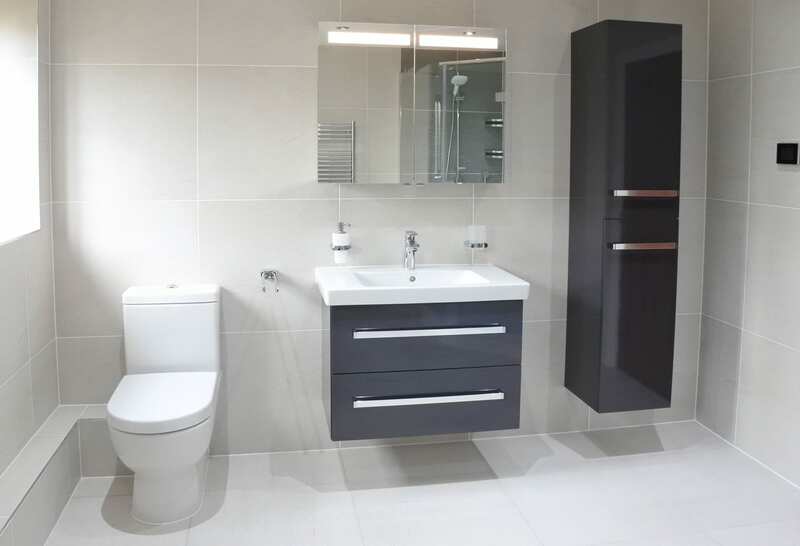 A 2-drawer vanity unit was chosen with a tall cabinet to match, allowing for plenty of storage space. The bath sits under a window making best use of the natural light that pours in, with the large size shower enclosure positioned opposite. 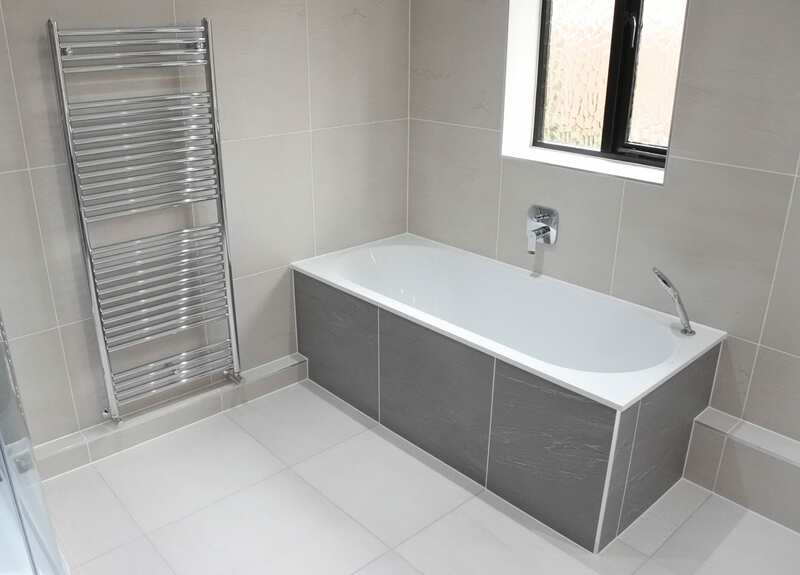 A heated towel rail sits in between, giving easy access to hot towels after bathing or showering. 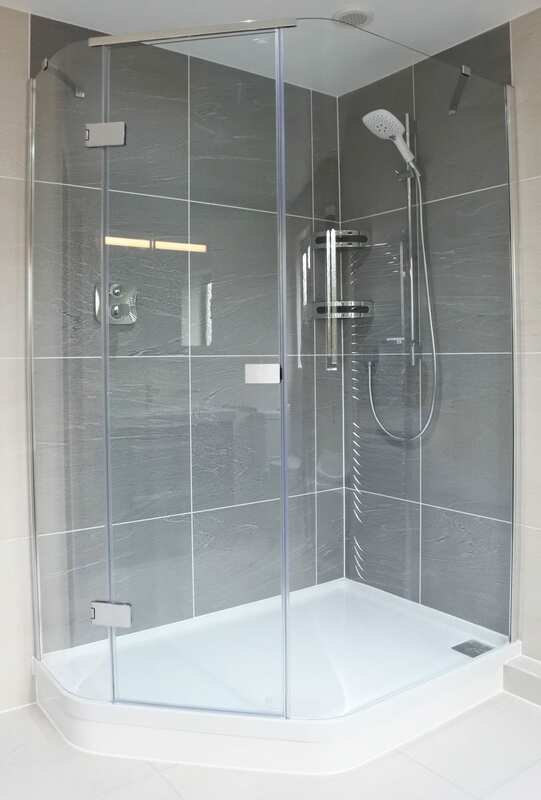 Tiles were selected in two contrasting tones, for the shower walls and bath panel a cool mid grey was chosen for a fresh contemporary feel, combined with a cream tile for the floor and remaining walls, to create a light and clean space.